UK Expats in Germany - Send Flowers made easy! Direct2florist proudly connects families and loved ones from all around the world. One of our most popular destinations is UK expats living in Germany. With its beautiful mountain scenery, free spirited vibrant cities with 24 hour party life and excellent standard of living - its easy to see why Germany appeals to so many UK expats. As of 2012 over 100,000 UK citizens have repatriated to Germany. Many of these may look to send flowers back to loved ones at special times of year like Christmas and Birthdays and that's why Direct2florist is here. 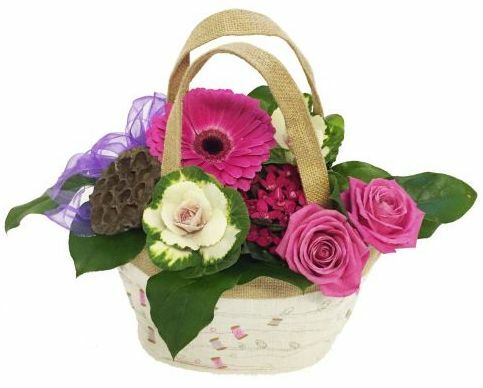 We specialise in sending flowers from and to Germany. Connecting loved ones with fresh beautiful flowers hand delivered by local florists for Birthdays, anniversary flowers, valentine's flowers, flowers for Mothers day, Christmas flowers. Did you know that because of the European union British Citizens do not need a work permit or special Visa to move to Germany. Furthermore Germany is not country that requires jabs or vaccinations. Good news for pensions too. UK State pension can be collected in Germany - either to a German bank account or a UK account. Because Germany is a country in the European Economic Area pensions are index linked and rise in value, just as if you had not left the UK. Good news! Need to send flowers same day? Not a problem, Direct2florist offers a SAME DAY DELIVERY IN GERMANY AND THE UK - taking account for time differences - ensure your order is received before 2pm local time and Direct2florists network of florists can deliver same day. Click here to Send flowers to Germany.